…and they want to grow NOW. Why is NewPoint sponsoring a food entrepreneur conference? The short answer – to help local food entrepreneurs get on the retail shelf by answering questions about scaling their operations, ramping up marketing and ultimately, how to sell into retail. We know from a number of market indicators — from macro and micro trends to good old fashioned sales numbers (all highlighted in my new book, Moving Your Brand Up the Food Chain™ section 1: Why Now for Local and Regional Brands) that the time has never been better to be a local or regional food company. And consumers are driving it – voting with their wallets as “Big Food’s” market share is shrinking and more small food companies are launching into the market every day. The result is forcing retailers to respond to consumer demand and source more local and brands. 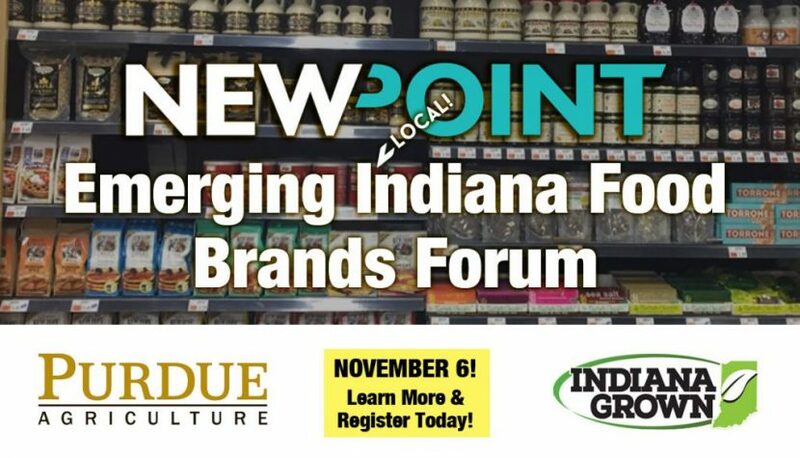 The NewPoint Emerging Indiana Food Brands Forum is about helping the food entrepreneur – who is hungry for growth – develop the right tools and chase that business. Up to 6+ retail food procurement professionals talk about what they look for in new/local vendors such as best practices, do & don’ts, what to expect, etc. Stay hungry and looking forward to launching some local brands! 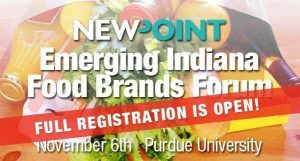 NewPoint Purdue Food Conference Open for General Registration! What Question Would You Like to Ask Retail Food Buyers?